As with any known disease, stress can greatly increase the intensity of these symptoms. Unfortunately, there is no known cure for fibromyalgia, and sufferers must help ease their pain through a variation of treatments and lifestyle changes. Massage is one of those treatments that’s being more frequently implemented. Some of the current research shows how massage therapy can help relieve some of the discomfort. It’s no surprise really that massage can help relieve the intensity of fibromyalgia symptoms, if not reduce them entirely. If you take a look at all the symptoms of fibromyalgia, and then all the benefits and effects of massage, on paper, it looks as good as a cure. Sadly, it’s not, but what it can do is greatly improve the quality of life in a safe and natural way for both short and long-term for sufferers. A 2011 study was able to show these effects in play on a number of patients. The therapy reduced sensitivity to pain at tender points as well as lowering anxiety levels and inducing better sleep quality. In 2014, another study was conducted which showed very similar results, including reduced depression that took immediate effect on patients. As a massage therapist, the most important tool you can use with your client, whether suffering from fibromyalgia or not, is communication. If you’ve been presented with a patient who claims to have fibromyalgia or any other chronic pain condition, you have to be overly communicative. Working with them to find the best techniques, pressure and focus areas is what’s going to make the difference between an uncomfortable or successful treatment. For centuries, fibromyalgia had been misdiagnosed as rheumatism. It wasn’t until 1904 that the symptoms were officially recognised as a separate disorder coined fibrositis by Dr. William Gowers. In 1976 the term was changed to fibromyalgia as we know it today. We don’t actually know for certain what exactly causes fibromyalgia, except that it disrupts the central nervous system (the pain processing pathways). There are several theories about the possible causes such as stress, hormone imbalances and genetics. Some people also believe it to be bacteria-related, but this has never been proven. As a general consensus, researchers believe the disease does not occur from one isolated event, rather a combination of stressors both physical and emotional. 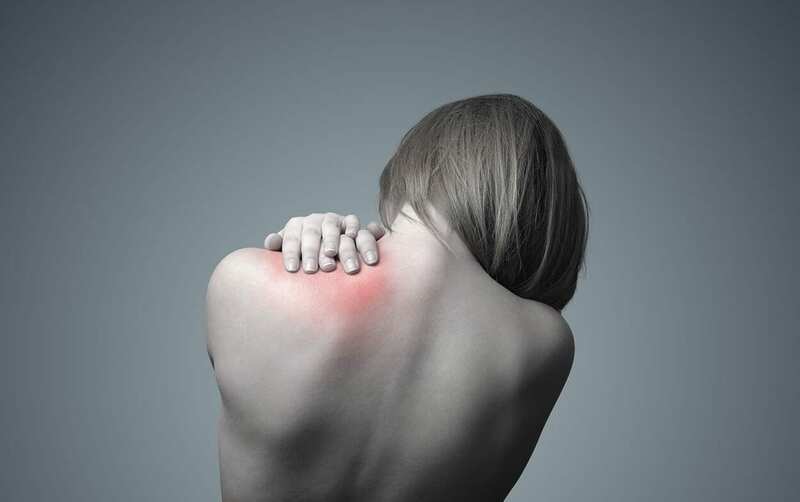 There is also thought to be a strong connection between personal trauma and the development of fibromyalgia. This is due to the fact that trauma often results in a person’s limbic system (nerves in the brain) going into overdrive. Dealing with a condition that has no cure, is difficult to accurately diagnose and is not fully understood in the medical community is tough. Living in constant pain is even tougher. Therapists have the ability to ease people’s suffering, and help them cope with an unfair, painful reality. Get qualified and start helping people! At The School of Natural Health Sciences, we offer diploma courses in 57 holistic therapies – ranging from Holistic Massage Therapy, Indian Head Massage, Reflexology and Shiatsu, to Philosophy, Clinical Nutrition, Aromatherapy and Kinesiology. View our A-Z of courses here. By achieving an 80% pass mark or higher, students are awarded internationally-recognised diplomas, entitling them to practise anywhere in the world. With our online school, you’re able to create a study-schedule that suits your lifestyle. No stress, no commute, just enlightenment! Contact us for more information on any of our courses, we’d be delighted to hear from you.